In our exhibitions, students showcase their work formally to an audience of family and friends. Through exhibition, students gain the satisfaction of sharing their own joy; they are given the opportunity to feel pride in what they've accomplished and examine their own progress. Through student exhibitions Red Gate Art Studio acknowledges the students' commitment to their art and their fantastic abilities as young artists. 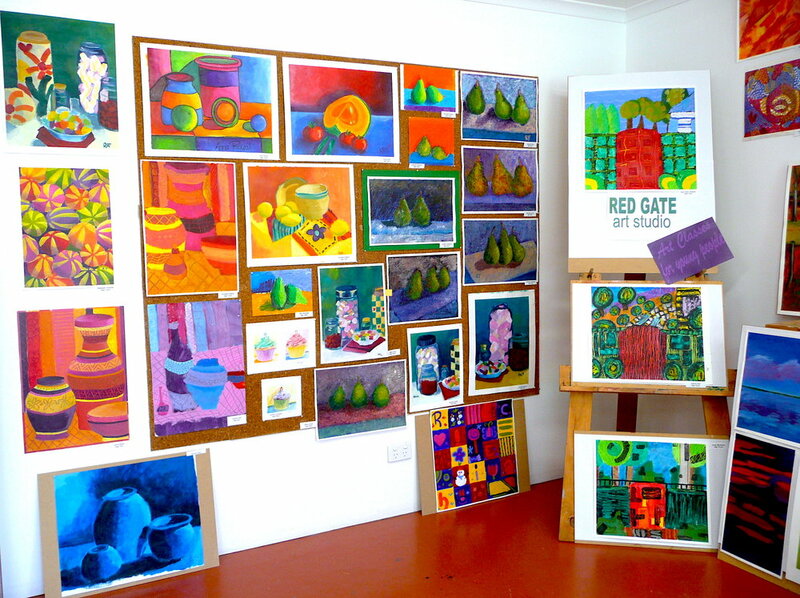 At Red Gate Art Studio, some of our students attend classes for many consecutive years, from primary through to year 12. This is a testament to the quality of teaching, but especially to the success and enjoyment that the students gain from their classes, which can be seen through the exhibitions. More pictures from some of our past Adelaide art exhibitions.